The Sequoia groves and mixed conifer forests of the Sierra Nevada provide the magnificent back drop for snow sports! 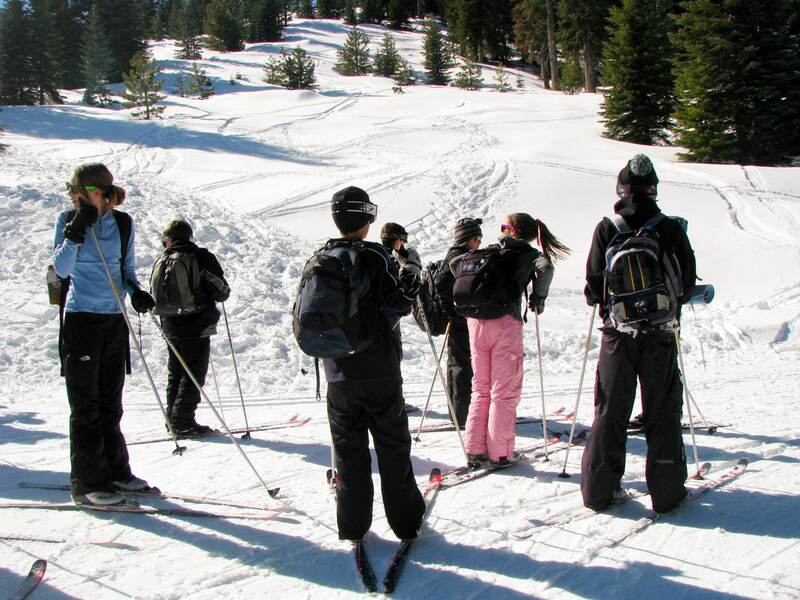 Our naturalists will teach you the basics of cross country skiing and take you on a groomed ski circuit appropriate to your skill level. 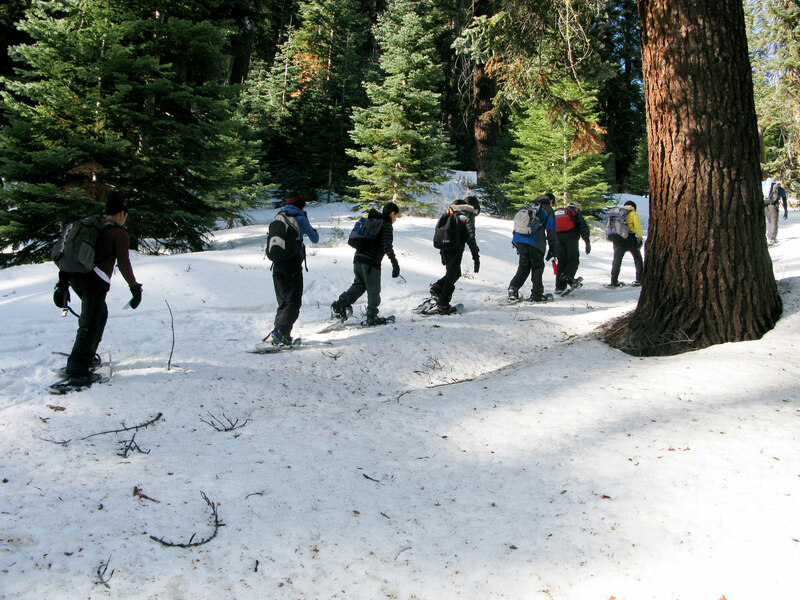 The Sequoia groves and mixed conifer forests of the Sierra Nevada provide the magnificent backdrop for snow sports! Our naturalists will teach you the basics of cross country skiing and take you on a groomed ski circuit appropriate to your skill level. We also lead snow shoeing outings and look forward to tubing with you down a groomed tubing run. 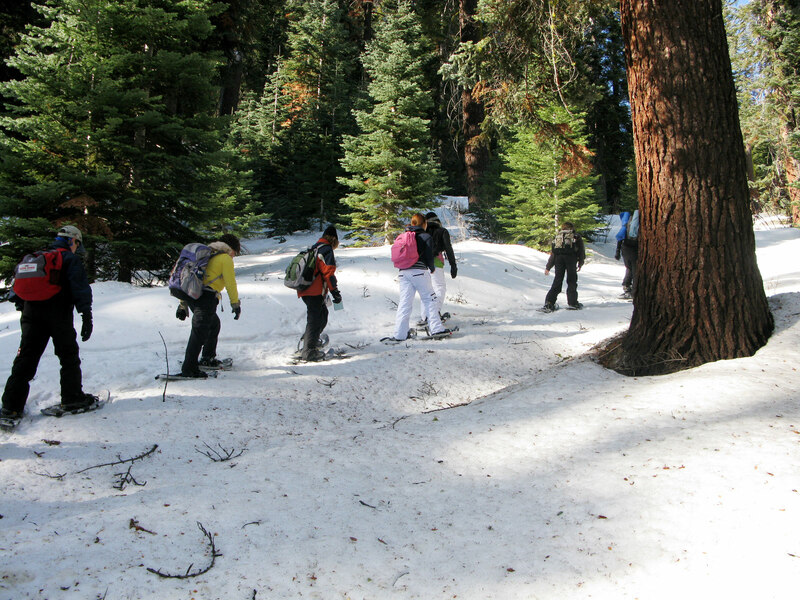 Snow science, shelter building, and animal tracking activities are another great way to spend a winter afternoon in the Sierra Nevada.